Keep your pampered pup in the latest trends and designs. 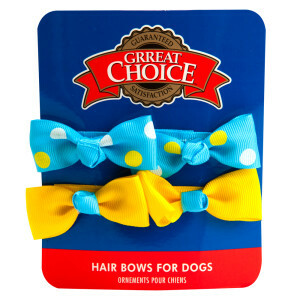 The Grreat Choice Polka Dot Hair Bow for Dogs. Vibrant colors and a comfortable fit make this a fashion must-have! Only at PetSmart.